The "Sheros" collection also features Chloe Kim, Patty Jenkins and Bindi Irwin. In anticipation of International Women's Day, Mattell introduced a new line of Barbies on Tuesday based on inspiring women in history. The new collection features such iconic figures as Amelia Earhart, Katherine Johnson and Frida Kahlo, as well as one living legend who changed the food industry forever: Hélène Darroze. The French chef, who got her start working at Alain Ducasse's Le Louis XV restaurant in Monaco, was touched by the honor. In a Tuesday instagram post, Darroze wrote about what the doll meant to her and her family. "Today I am very honored and proud to be part of the Sheros program, and my little girls are even more so than I am," she wrote in French. "Through this doll, as a chef and as a monther, I hope to encourage all little girls to believe in their dreams and push the limits by having confidence in themselves and respecting who they are." "Girls have always been able to play out different roles and careers with Barbie and we are thrilled to shine a light on real life role models to remind them that they can be anything," wrote Lisa McKnight, senior vice president and general manager of Barbie, in a press release announcing the collection. 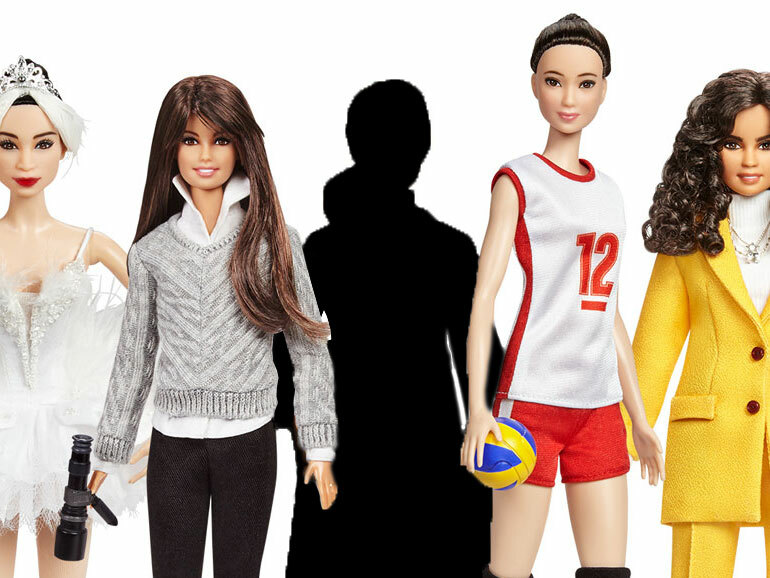 The dolls are available for pre-sale on the Barbie website.